With so many new restaurants opening in Manchester these days it’s hard even for somebody as obsessed as me to keep up with them all, never mind be excited by most of them. One that I had been looking forward to for a long time though is ‘Burger & Lobster’. 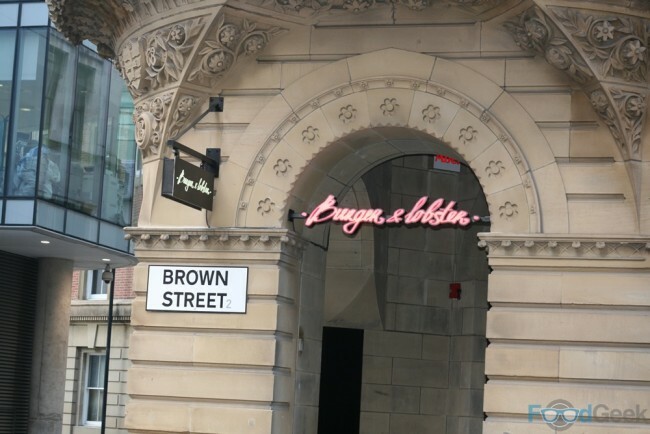 I really enjoyed visiting their first London restaurant three years ago so was excited to hear they’re joining the likes of Byron, Hawksmoor, Iberica and Wahaca in travelling up North to Manchester. They finally arrived a couple of weeks ago, opening in the Grade II listed Ship Canal House on the corner of King Street. Inside is HUGE, more than twice the size I imagined and far bigger than it looks from the outside. Apparently they can do 240 covers at a time, and turnaround will be fairly quick. That’s a LOT of lobster. 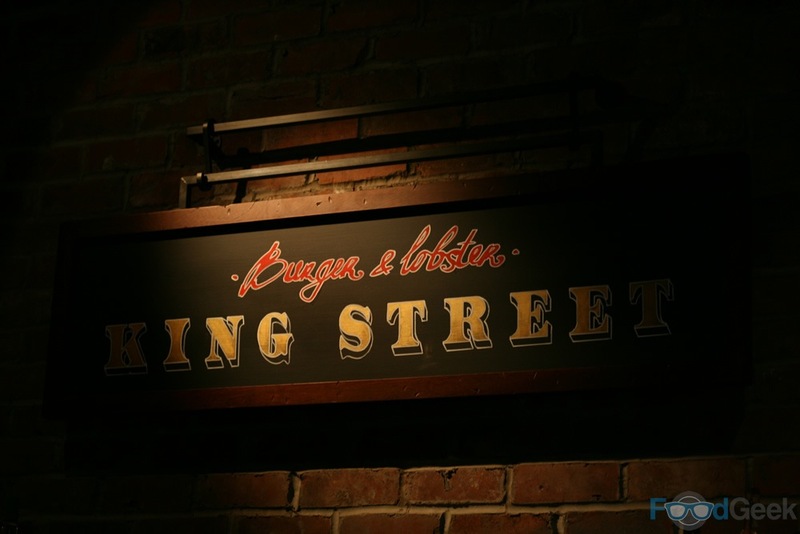 The decor is very stylish, as you’d expect given the setting; it’s all wooden floors, exposed brick and plush red leather. Above the kitchen pass they have by far the best neon in Manchester. (For the more musically challenged: it’s a tribute to a legendary Joy Division album cover). 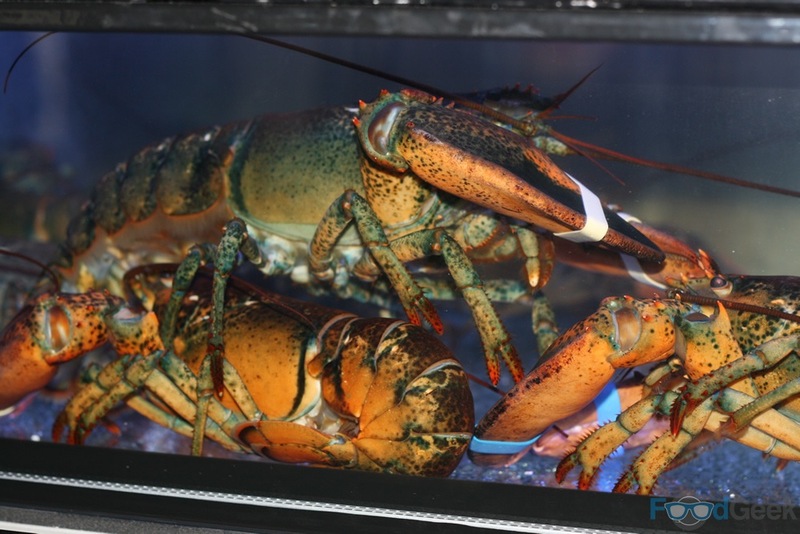 You can’t miss the far wall of lobster tanks – the biggest in the North West I believe – stocked with a variety of live crustaceans of differing sizes, available to order if you see one that takes your fancy. Just like in London there’s no menu. 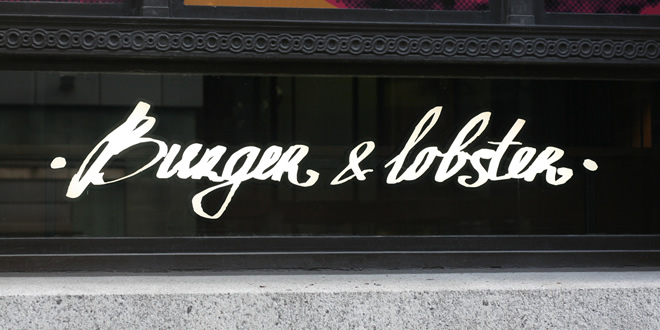 You don’t need one because as the name suggests they only sell two things; burger and lobster. Just one type of burger, a lobster roll and a whole lobster. All come with fries and salad and cost £20 each, simple. 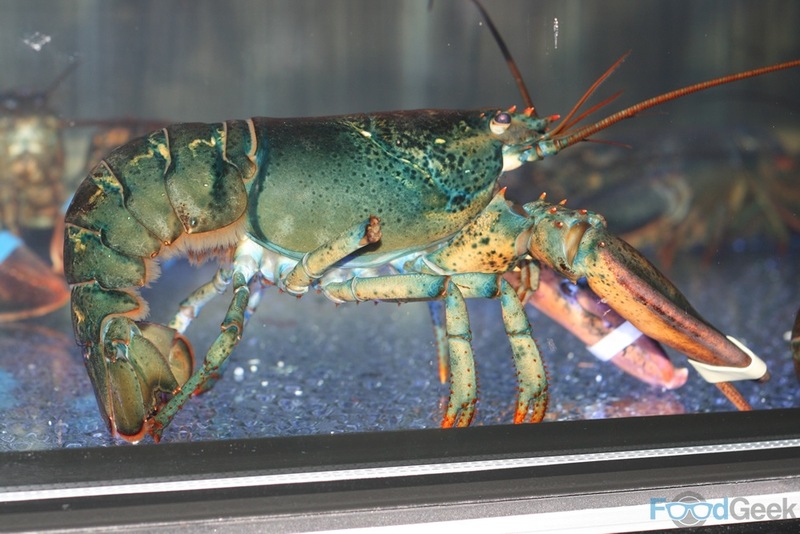 (You can also purchase larger lobsters, which vary in price depending on size). 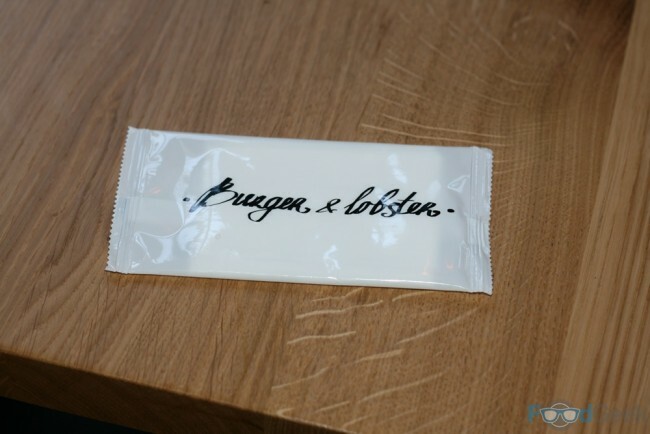 The best value of the three is definitely the whole lobster. I’m not sure how much it weighed but it was a very decent size. 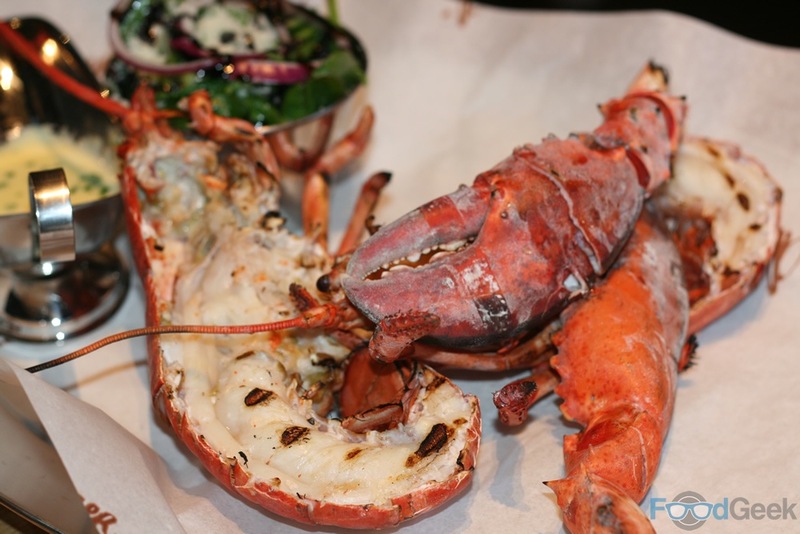 There’s a choice of either steamed or grilled, we went for the latter for extra flavour and it was just perfect. Even better when dunked in the gorgeous garlic butter on the side. 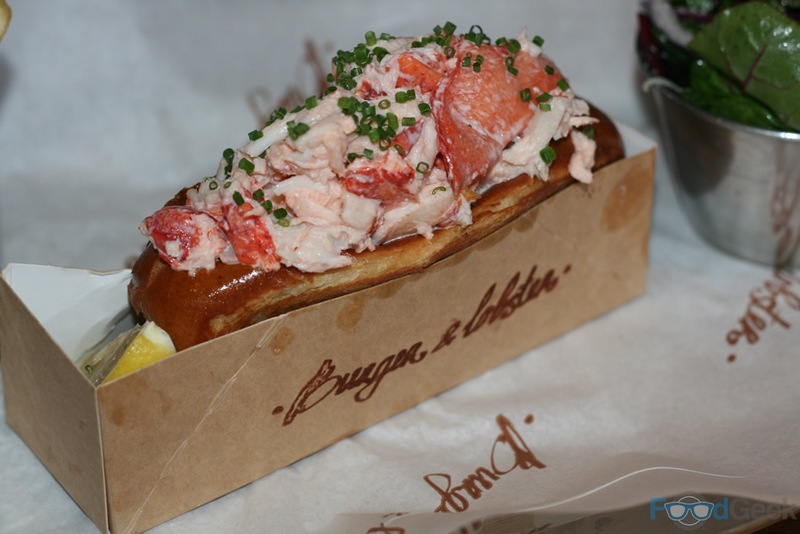 The ‘Lobster Roll’ is also excellent and deceivingly filling. Though it doesn’t look particularly big there are generous chunks of lobster, I found a piece that seemed to be almost a whole claw. It’s quite rich too with its sweet brioche bun and indulgent creamy mayo. It’s cleverly lightened with a hint of wasabi, a touch of lemon and a sprinkling of chives. 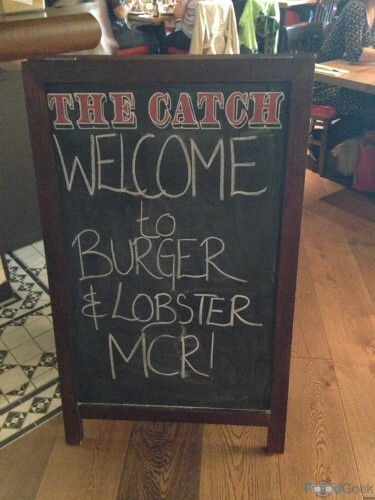 I said this three years ago in London and I’m still not sure the burger is worth £20, even less so in Manchester. Not when you consider places like Solita and Almost Famous are slinging them for closer to a tenner. 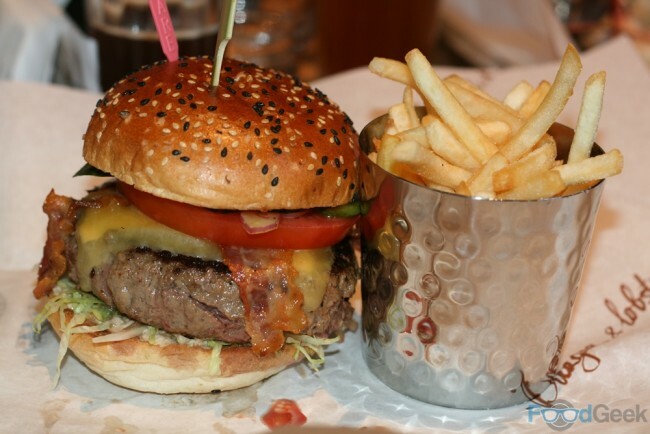 But then again, it is a good burger; in fact it’s a VERY good burger. 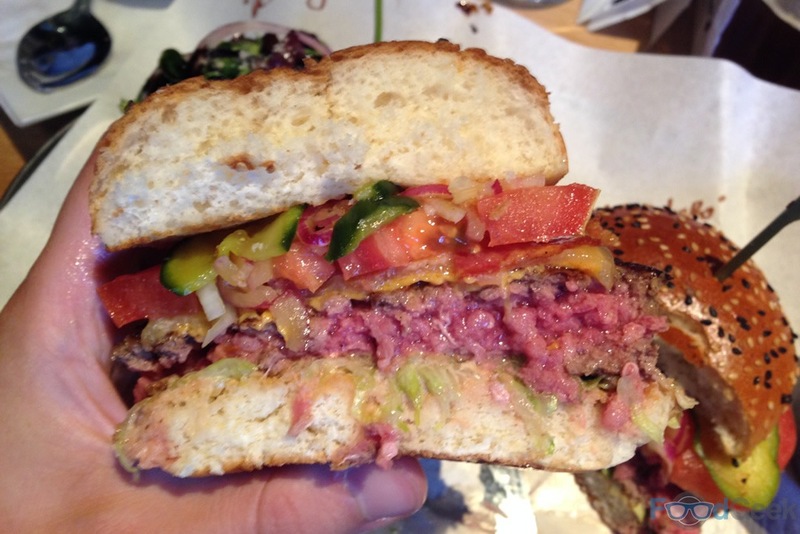 And at 10oz the patty is almost double the size of those aforementioned places so perhaps it’s not so bad after all. 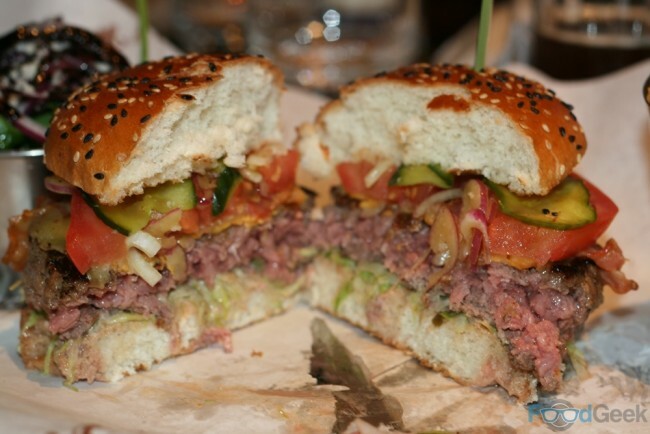 The unfussy burger comes with the classic toppings of cheese, onion, lettuce, pickles, tomato and optional bacon. What I want to know are who are the people opting against bacon? 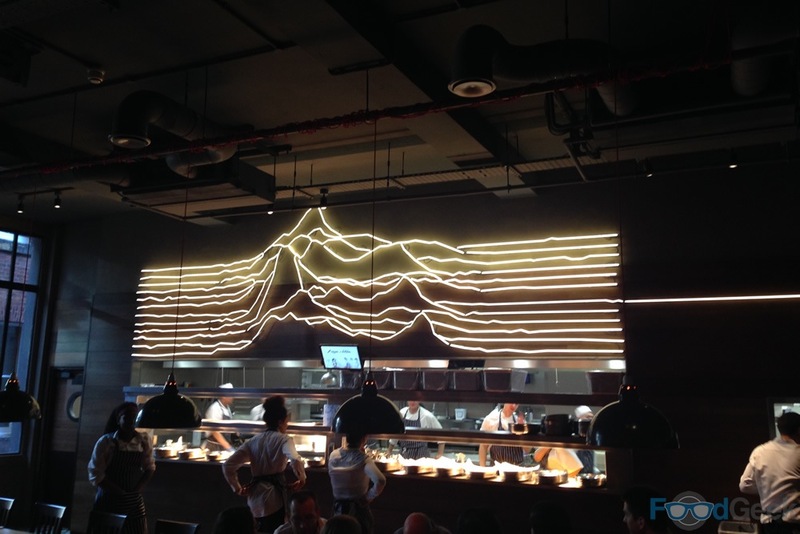 Also like London they won’t cook the burger rare. Or rather, they won’t let you order them rare. So I ordered mine the minimum medium rare. As it turned out it arrived nowhere near medium rare. Probably not how the management intended it but I was very happy with it. It was the tastiest, juiciest burger I’ve had for a long time. 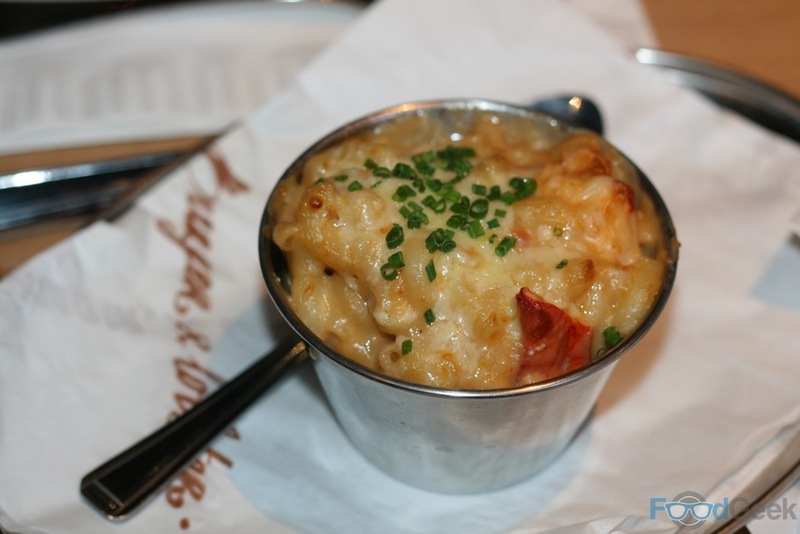 There was also a special of ‘Lobster Mac ‘N’ Cheese’. A small but filling portion, packed with decadent lobster and oozing with cheese. 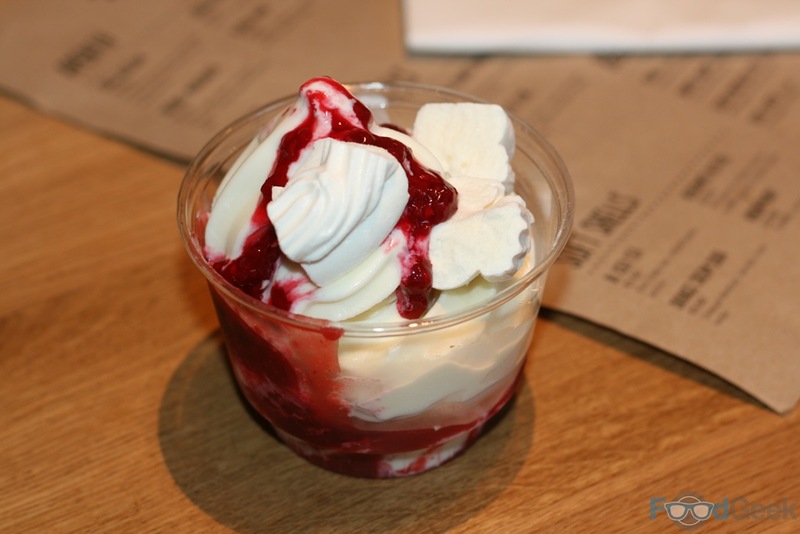 Desserts are a fairly simple affair; we had an ‘Eton Mess Ice Cream’ and a ‘Strawberry Cheesecake Mousse’, both of which were small and light but enjoyable enough. I think they’re kept intentionally quite light, which was probably for the best. 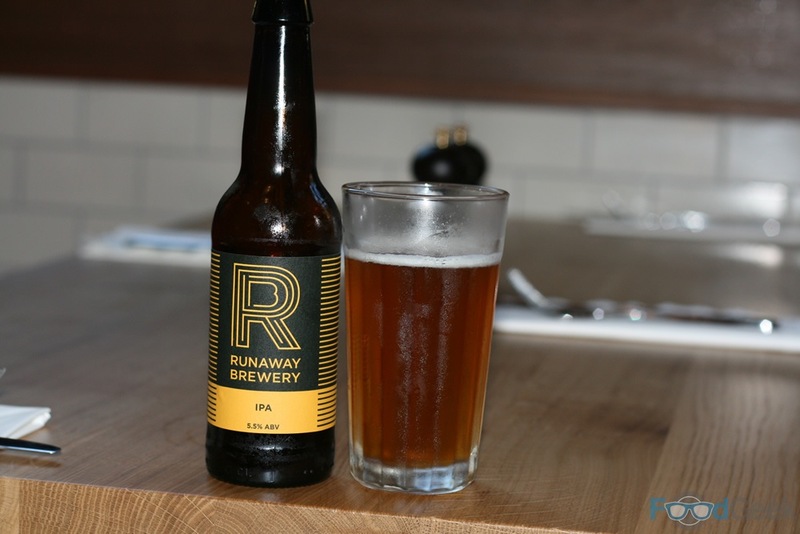 As if I didn’t love Burger & Lobster enough already they also have a couple of beers from one of my favourite Manchester breweries, Runaway. Their IPA is a brilliant match for the burger in particular. 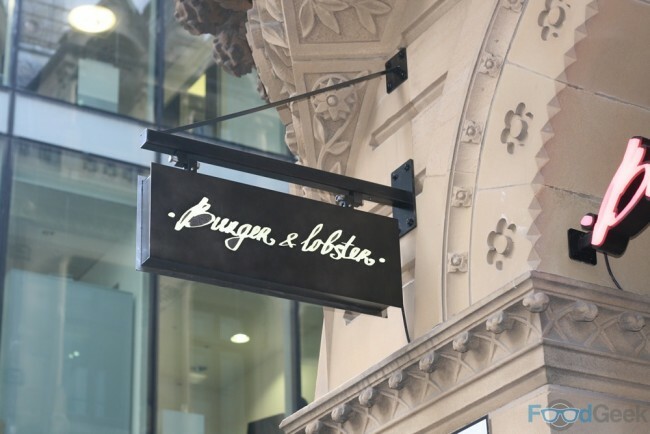 All in all I’m very happy to have Burger & Lobster in Manchester. 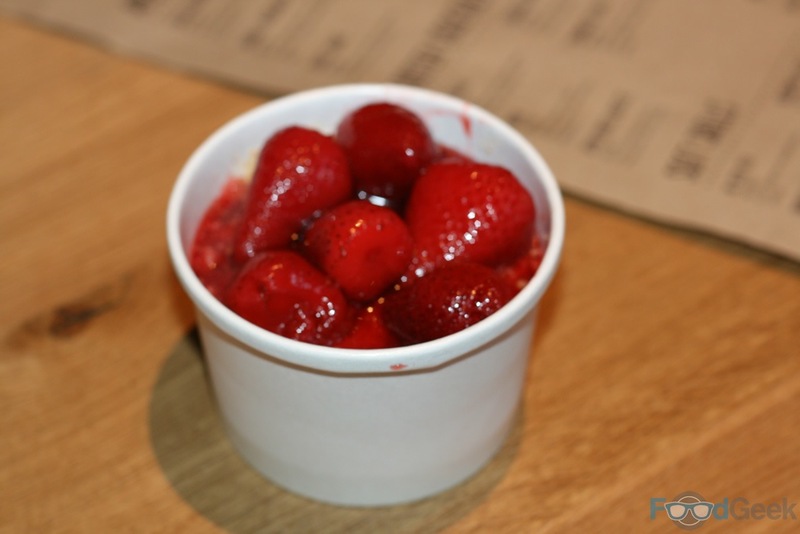 The quality was every bit as good as their flagship London restaurant, which considering how long they’d been open is a huge achievement. I still can’t quite figure out whether it’s good value or not, mainly because of the £20 burger. 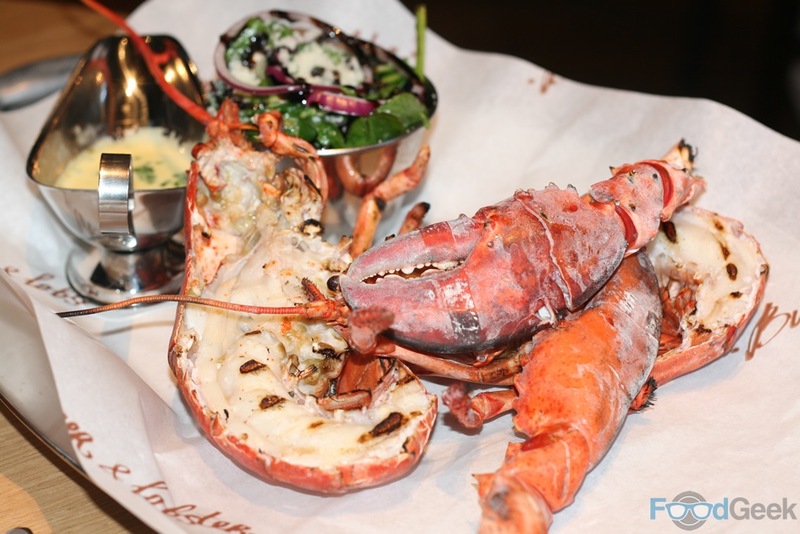 But then again, £20 for a whole lobster with two sides is very good value, as I said in my original London post the burger buyers are obviously subsidising the lobster eaters. To be fair I think it is good value overall. Whatever you order with the sides included you get a decent amount of food for £40, which doesn’t get you much in most decent places in Manchester these days. The concept clearly works for them anyway, I’m sure it’ll be as big a success in Manchester as it has been everywhere else.